Meet at Lake District Adventures base at Horahora or pick up from Cambridge i-Site and get the shuttle. You can use your own bike or hire one of ours. 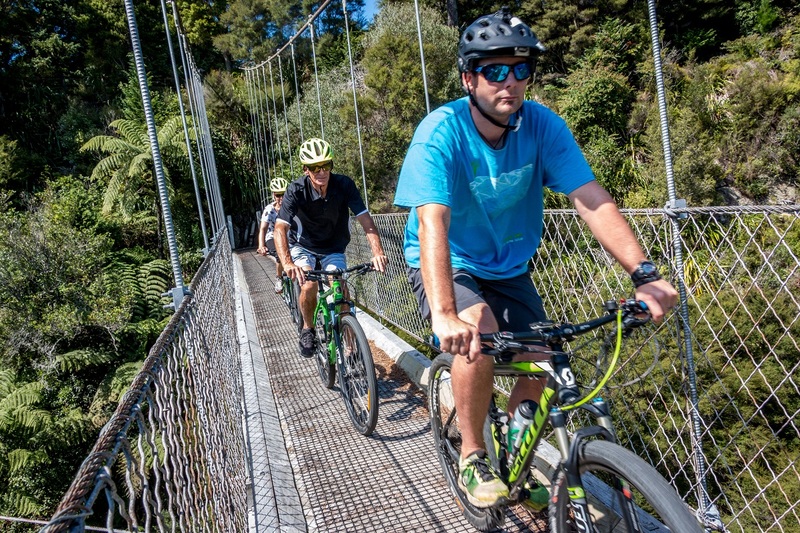 The most popular trip for beginners is from Arapuni Dam or Jones Landing for intermediate riders. Let one of our guides let you know whats coming up and allow them to share their local knowledge and history of the area. The trip is approximately 3 - 4 hours return trip to LDA base. 12kms on the beginner route and 15kms for the intermediate route.